A view from above! 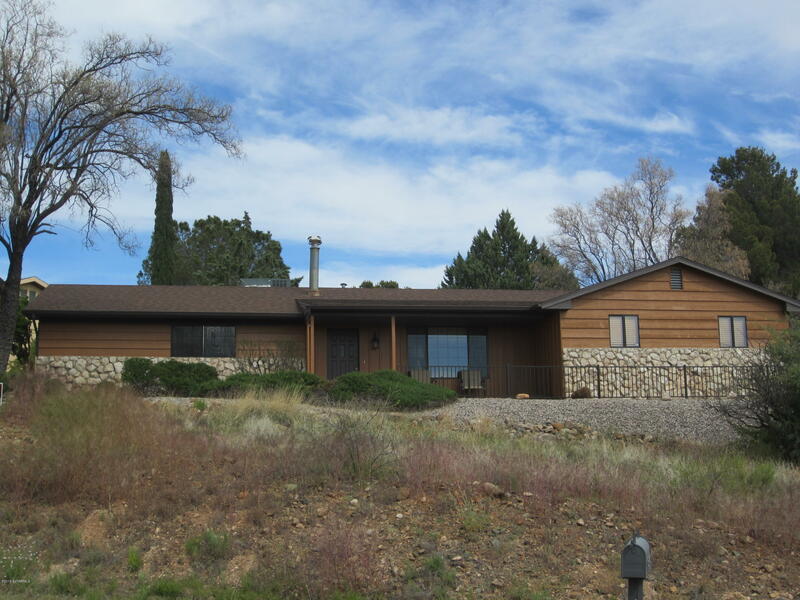 The covered front porch makes a great place to hang out to enjoy the beauty of the Verde Valley. Two lots combined to make over .50 acre giving some needed elbow room. [The new parcel #406-49-097A] Living room is open, bright w/wood burning stove. Dining area boasts a bay window seat area. Tangerine dreams in the nice size kitchen with walk in pantry. New laminate floors in main living areas and new carpet in bedrooms. Bedroom 2 and master bedroom both have walk in closets. 3rd bedroom/office/den space on opposite side of home. Private fenced backyard with gardening area ready for you to plant. Room for RV/toys on new larger lot. Home has recirculating hot water and a de-scaling system.